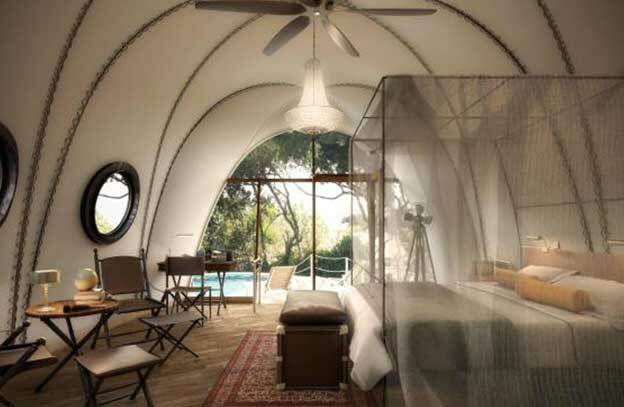 Leopards, sloth bears and jungle cats are among the safari thrills for guests in these 28 luxury tents opening at the edge of Yala National Park in mid-2017. Outdoor bathrooms and private decks are perks of these chic vaulted “cocoons”, while the four secluded beachfront abodes have private plunge pools in addition to a vast free-form swimming pool. The sustainability-minded hoteliers behind Cape Weligama and Tea Trails, part of the Dilmah tea empire, also have a conservation station; guests can join resident naturalists to track high-density zones of animal movement, monitoring remote cameras and observing data collected. In partnership with the Wilderness and Wildlife Conservation Trust, they aim to improve co-existence between humans and wildlife in the Central Highlands.